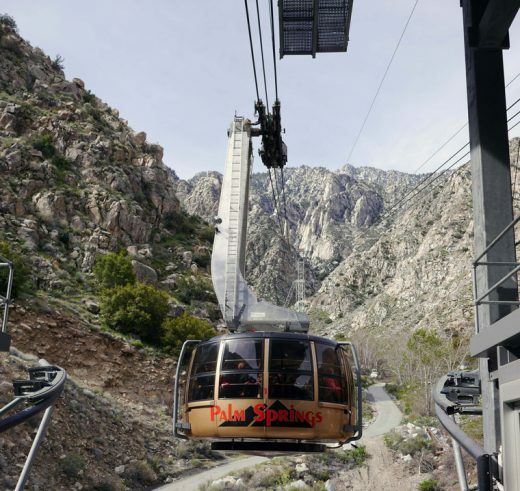 The Palm Springs Aerial Tramway reopened Monday, April 1, after damage during the Feb. 14 rains and storm resulted in a 46-day closure. In addition to a section of the road being washed out over a drainage culvert, a second section of road also was replaced due to subsidence from rain run-off. Additional repairs included restoration of power to the Mountain Station, minor repairs to the Mountain Station roof, repair of the Valley Station fire suppression system, repair of the Valley Station freshwater system, repair of the Valley Station wastewater system, minor damage to the Valley Station façade, and removal of rocks and debris from streams, parking lots and roadways. The tram estimates that the incident resulted in almost $4 million in repair costs and lost ticket revenues. The Tramway has now returned to its regular schedule with the first tram up Monday through Friday at 10 a.m., and 8 a.m. Saturdays and Sundays.